Indian Architect Wins Prestigious Pritzker Prize - Integration Through Media ....! 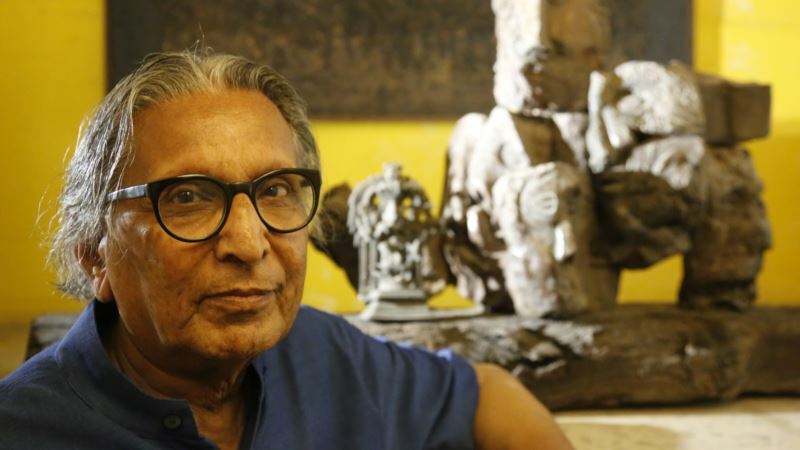 (VOA): Architect and educator Balkrishna Doshi, best-known for his innovative work designing low-cost housing, has been awarded the 2018 Pritzker Architecture Prize, the first Indian to win architecture's highest honor in its 40-year history. Doshi has been an architect, urban planner, and educator for 70 years. The foundation called the 90-year-old's work “poetic and functional,” and noted his ability to create works that both respect eastern culture and enhance quality of life in India. He called the prize an honor both for for himself and for India. “What I have done for close to the last 60 years, working in rural areas, working in low-cost housing, worrying about India's future. Now all this comes together and gives me a chance to say “Here we are!” he said. But he grew into his own. “With an understanding and appreciation of the deep traditions of India's architecture, he united prefabrication and local craft and developed a vocabulary in harmony with the history, culture, local traditions and the changing times of his home country India,” the citation read.